Biotin is one of the essential vitamins that our body needs in order to function properly. It belongs to the group of water-soluble vitamins known as vitamin B-complex. It is also referred to as vitamin H, but the term biotin is used more commonly. Biotin is used by the body during the digestive process to break down food into energy. It also plays an integral role in the maintenance of healthy hair, nails, and skin. A biotin deficiency usually entails hair-loss and visibly unhealthy skin. Egg yolk and liver are the best sources of biotin. However, if you’re like most of us who prefer cereals and pancakes for breakfast instead of eggs, you might be at a greater risk of developing biotin deficiency. In such cases, it is particularly important for you to take biotin supplements in order to ensure proper health avoid a biotin deficiency. 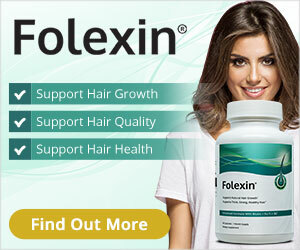 You can also take biotin supplements to increase your overall intake of biotin. Biotin has clear benefits when it comes to our physical appearance. Biotin supplements can significantly improve the quality of our hair, skin, and nails, all of which play a huge part in our outward physical appearance. Aside from these benefits, biotin also reduces inflammation, improves cognitive functioning and helps maintain blood sugar levels. It also plays a key role in increasing HDL or good cholesterol while decreasing LDL or bad cholesterol. It is important to note that none of these benefits are a cure for any illnesses but a form of supplementation for better health and a preventive measure. Now that we understand what biotin is and what it does to our body, let’s take a look at one of the popular biotin supplements on the market—the BariMelts Biotin. BariMelts Biotin is an unconventional dietary supplement. Unlike most supplements which are swallowed, usually with water, BariMelts is not supposed to be swallowed. The supplement is supposed to dissolve in our mouth, like candies. This increases the rate at which biotin is absorbed into the bloodstream. It comes in the form of fast dissolving tablets, which surprisingly taste pretty good. It has a delightful strawberry flavor. But more importantly, it does not include any artificial flavors or sweeteners. Its taste comes purely from natural sweeteners and flavors. The dietary supplement is completely free from sugar, GMO, and other potentially harmful additives. Another important feature is that BariMelts is specially designed for individuals who have undergone bariatric surgery, which essentially means weight loss surgery. Since you can’t eat much after undergoing weight loss surgery, dissolving tablets offer one of the best ways for such people to receive all of the vital nutrients. Aside from providing a vital nutrient the supplement is also formulated to help support healthier skin, stronger nails and most importantly, healthier and stronger hair. It is ideal for those who’ve noticed their skin or hair to be deteriorating and need some form of natural remedy to heal the damage. The dissolving tablets are not just for bariatric patients. Many people have trouble swallowing capsules and simply prefer the option to choose between dissolving tablets. Also, digesting biotin supplements can sometimes lead to stomach cramps and other discomforts. However, if the supplement is directly dissolved into the bloodstream, it doesn’t cause any of the gastric-related discomforts. BariMelts is a fast dissolving and great tasting dietary supplement for biotin. It is ideal for those who can’t swallow capsules due to illness or some other reason. It is also a great option for those who have a weak digestive system and tend to experience frequent intestinal problems and stomach cramps. It is specially designed for bariatric patients. Bariatrics is a branch of medicine that effectively deals with the causes and treatment of obesity. Since it is generally difficult to eat after undergoing weight loss surgery, most people have to resort to dissolving tablets and BariMelts is the best option for people in such circumstances. The supplement is one of the best options we have for biotin supplements, even if we haven’t undergone any medical procedure or suffer from any medical conditions. It tastes great and offers an excellent alternative to swallowing a pill. Let’s take a look at Natrol Biotin, which is also a dissolving supplement for biotin and can serve as a comparison for BariMelts Biotin. First of all, Natrol Biotin is designed specifically for physical appearance. Its primary purpose is to help improve the quality of our skin and rejuvenate our hair. BariMelts, on the other hand, is meant to help bariatric patients, who simply cannot swallow a capsule. Both supplements have a great tasting strawberry flavor. And both are completely hundred percent vegetarian. Natrol Biotin is available in three different dosages, 1,000, 5,000 and 10,000 mcg, whereas BariMelts Biotin is available in only 5,000 mcg dosage. Both dietary supplements help promote radiant skin, healthy hair and strong nails, which is what the nutrient naturally does. It also helps support efficient energy metabolism and aid in the conversion of the food we’ve eaten into energy that our body can use. Both of these supplements are high-quality supplements that can help us stay healthy and look great. Based on all of the information we’ve covered so far, it would be difficult to choose between the two biotin supplements. Both of these dietary supplements offer the greatest value for money and help achieve our health and appearance-related goals. It is, however, important to note that BariMelts Biotin is formulated especially for Bariatric patients who have undergone weight loss surgery and needed the supplement rather than want it. These people cannot simply opt for a different supplement at their leisure and must follow the recommendations of their physicians. Since BariMelts is formulated primarily for medical purposes, it is difficult to rank below any other dietary supplement, especially one that is formulated for physical appearance and beauty. Hence, we are obliged to say that BariMelts Biotin is the better dietary supplement and you should definitely consider it if you prefer dissolving supplement tablets.